Welcome to Defend, B. Bravo! Let’s welcome our newest client, B. Bravo, to the Defend Family! B. Bravo is known for his flawless ability to fuse genres like g-funk, R&B, and dance all together on one track. Since graduating from the Red Bull Music Academy, he’s been on a roll performing in festivals like Laneway Singapore, Raising The Bar in Kuala Lumpur, Detroit Electronic Music Fest, Sonar in Barcelona, Positivus Festival, Snowglobe, SXSW, and Basscoast. 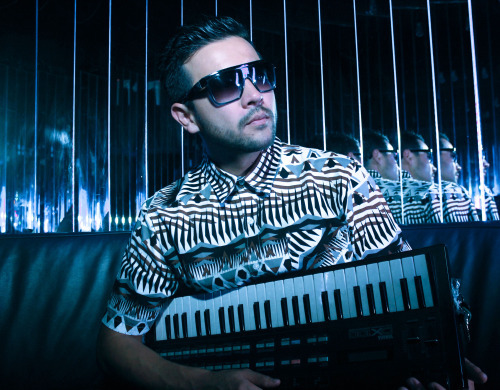 He has also played alongside legendary artists like Erykah Badu, Flying Lotus, Dam-Funk, and Hudson Mohawke. We look forward to working together and once again, we are more than happy to welcome B. Bravo to the fam!